Iko has been under the radar as of late, bubbling and stirring, waiting (even if inadvertently so) for the moment when the world would be primed to receive their solitary blend of whimsical passion. Dazed and Confused delivers four tracks of controlled beats that sway like a hammock under the feeling vocals and underlying assailment of piano keys (or tender stroking thereof depending on what the track calls for). The EP is only 17 minutes long and that leaves us with mixed emotions. While we’re hungry for more, we”re somewhat fatigued by the self-awareness that beseeches us. The instruments and vocal stylings speak louder than the lyrics making us realize, despite our mood upon tuning in, that life is bigger than ourselves, and the official acceptance that the world is more real and profound than we could ever understand. 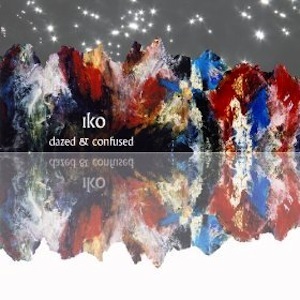 We aren”t surprised to learn that Iko has been featured on Grey’s Anatomy and The Twilight Saga’s soundtracks (both of which are well known to have exquisite musical intuition). The bottom line is this: we whole-heartedly endorse this collection of feel-good tracks. We have had this EP on repeat from listen #1 and don’t expect it to be going anywhere any time soon.